Every Premier League fan’s dream to win a title for their club can become a reality with the inaugural ePremier League. The Premier League and Electronic Arts are launching the ePremier League (ePL), offering UK-based players the chance to represent their favourite Premier League club for the first time in competitive gaming. The ePL will start in January 2019 with the final played in London on 28-29 March, 2019, and broadcast live on Sky Sports and the Premier League’s social media channels. It is the newest league partner to be added to the EA SPORTS FIFA 19 Global Series. The ePL competitive gaming tournament on EA SPORTS FIFA 19 kicks off in January 2019 and players aged 16 and over will compete for three months across three rounds: online qualification, live club playoffs and the eventual live ePL Final. 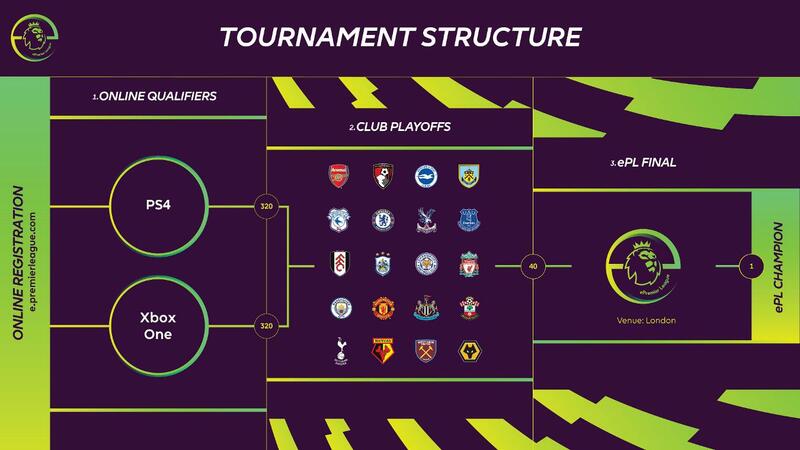 All 20 Premier League clubs will have a live playoff round allowing two EA SPORTS FIFA 19 competitors, one per platform (PlayStation 4 and Xbox One), the chance to advance to the ePL Final. Registrations for the tournament will open in December. “EA SPORTS is a fantastic partner for the Premier League and we are looking forward to launching ePremier League with them,” said Richard Masters, Premier League Managing Director. Todd Sitrin, SVP and GM of the EA Competitive Gaming Division, said: “The Premier League’s global reach and intensely passionate fanbase pushes EA SPORTS FIFA competition to unprecedented heights as we accelerate esports growth through traditional sports. Competitors intending to participate in the ePL who want to also be eligible for these points will need to register on FUTChampions.com by 31 October, 2018, and be FUT Champions-verified. “The inclusion of the ePL will undoubtedly enhance the player and spectator experience,” said Brent Koning, EA SPORTS FIFA Competitive Gaming Commissioner. The ePL will be operated by esports tournament organisers Gfinity. Further tournament details including registration information will be released in the coming months. For more information visit e.premierleague.com. Owner of Ladbrokes and Coral, has called for an end to all UK sports-betting broadcast advertising, at any time of the day, on live and repeated sporting events. William Hill has launched a new advertising campaign featuring the unified world heavyweight champion Anthony Joshua.